In BISH BASH BOSH! you’ll discover a whole world of quick eats, weeknight suppers, showstopping feasts, and incredible sweet treats – all using the power of plants. From a hearty, classic lasagne to an indulgent mini banoffee meringue, and from quick quesadillas to an incredible curry house jalfrezi, these are simple, savvy recipes that you’ll turn to time and again. 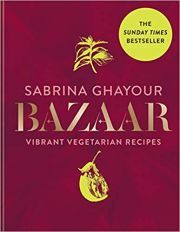 Bazaar is a colourful, flavourful and satisfying celebration of vegetable dishes, designed to suit every occasion and every palate. 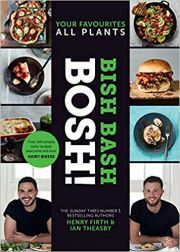 The magic of this cookbook is that you won't feel like anything is missing, with dishes full of easy-to-achieve flavours and depth that would win over even the most die-hard carnivore. Much vegetarian food at curry houses is unappealing and unimaginative. 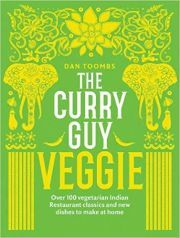 Curry Guy Veggie showcases how exciting Indian vegetarian food can be with mouth-watering starters, classic curries, idlis, dosas and fried breads, as well as the delicious side dishes that we all know and love. 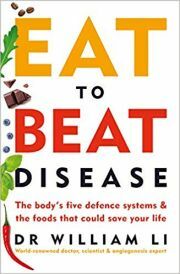 In Eat to Beat Disease, Dr William Li explains that your body was designed to fight threats such as heart disease and diabetes. Revealing over 200 foods that you can incorporate into your life, a simple framework is used and invites you to choose five foods and eat them five times a day. It is not about dieting or cutting out – it is about having the confidence to incorporate the healthy foods you already love and It could save your life. Kate Allinson and Kay Featherstone owned a restaurant together in The Wirral, where Kate was head chef. Together they created the Pinch of Nom blog with the aim of teaching people how to cook. 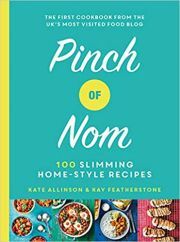 They began sharing healthy, slimming recipes and today Pinch of Nom is the UK's most visited food blog with an active and engaged online community of over 1.5 million followers. 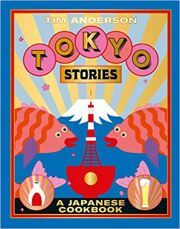 Tokyo Stories is a journey through the boulevards and backstreets of Tokyo via recipes both iconic and unexpected. Chef Tim Anderson takes inspiration from the chefs, shopkeepers, and home cooks of Tokyo to showcase both traditional and cutting-edge takes on classic dishes like sushi, ramen, yakitori, and tempura. Eating healthily can be a confusing business. But what if there were a single, simple change you could make that would transform your health, without forcing you to give up the foods you love? 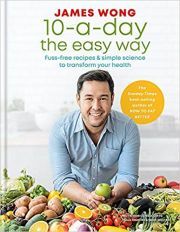 Just 80 of the classic recipes you know and love made healthier (and tastier) by simply upping the amount of fruit and veg in them, all backed by the best science available. Most of us buy the same ingredients week in, week out, and cook the same old recipes. Cookery writer Claire Thomson wants to encourage people to ditch the boring chicken stir-fry, the all-too-predictable spag bol and dreary fish pie, and enliven their cooking and eating. Claire's cooking is simple yet imaginative, and her kitchen expertise and knowledge of flavour combinations mean that these dishes will become your new standby meals. 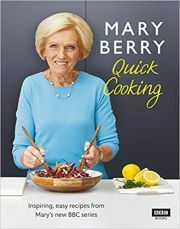 In this brand-new, official tie-in to the major BBC Two series, Mary shows how being in a rush will never be a problem again. 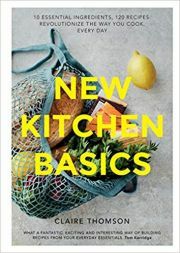 Find brilliant 20- and 30-minute meals and enjoy wonderful dishes that can be swiftly assembled and then left to cook away while you do something else. 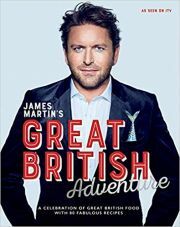 Following on from his triumphant TV shows and books James Martin's American Adventure and James Martin's French Adventure, our food hero comes home and brings us what he does best in James Martin's Great British Adventure. 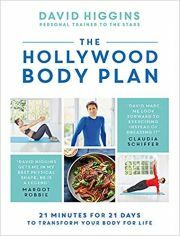 David Higgins's Hollywood-tested Hollywood Body Plan will transform your everyday movement and treat the aches and pains that have built up over years of sedentary living. Once you have regained control of your body, you can live without stiffness and pain and exercise without fear of injury.David's Hollywood Body Plan is a unique and corrective approach to exercise and diet, based on his belief that until you undo all the dysfunctional movement that you have developed over the years, all the exercise and diets you try will only be short-term fixes. 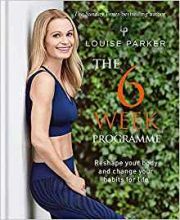 Louise Parker's 6-Week Programme is a guided, motivational programme for transforming your body and enjoying the results for life. Week by week, you'll follow each of the four pillars of Louise's Method: eat beautifully, live well, think successfully and work out intelligently. You'll experience a complete mind-body reset and focus on acquiring the habits key to long-term success.